Peterosa Exports works with all breeds of Registered Beef cattle. We have an exceptional resource of breeding stock to choose from, in Canada having over 10,000 Purebred breeders registering approximately 150,000 head of registered livestock yearly. These numbers are made up of 14 major breeds along with several breeds with smaller numbers. Historically our main sales have been in Black and Red Angus, Charolais, Simmental, Gelbvieh and Hereford, but have also exported Limousin, Braunvieh, Belgian Blue and Saler's to Mexico. 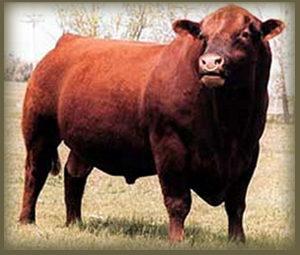 Recently we have seen an increase in requests for Red Angus from Mexican breeders. The number of head of Red Angus in comparison to the numbers of Black Angus in Mexico is still quite small but I see this part of the Angus breed to have a great future on Mexican cattle ranches. Mexico exports a large number of cattle to the USA, (statistics last year showed 786,000 head exported). With a good breeding program, much more value can be gained by using European bulls on your cows. Hybrid vigor gives more pounds and more pounds mean more dollars in the cattleman’s wallet. With the new programs in Mexico coming into effect for the re-population of the beef herds, think of Peterosa Exports when you are looking to increase your number of females on your ranch, rebuild your herd or add that special herd sire to use on your cows. We have the resources, the contacts in both Canada and the USA and we have the know how. We would be pleased to help you with your needs, no matter how small or large.